I'm very pleased with the purchase, the led's are very nice, the interface is easy to setup. My down vote is because overall, it feels like a cheap product because of the plastic. Razer needs to upgrade to an aluminum body for that professional feel. Heavy and it has a light show. Took about a week to get adjusted to the keys and noise, but it's awesome once you are adjusted to it. The RGB customization with Razer Synapse is so versatile. Highly recommend. Best LED keyboard on the market! The macro creation and customization software is really great. It is very easy to make a custom lighting setup and very easy to make macros. you can have as many profiles as you want for all sorts of different games. I use a lot of macros and custom keybinds for games that I play. The plastic construction makes it feel kind of cheap and I would definitely recommend getting the 'X' version over this one, it did not exist when I got mine. The key switches are very loud and can be annoying when talking to other people as 99% of headsets will be able to pick up the clicking sounds. My last complaint is more personal to me than anything, I would like to have had more macro keys on the side, rather than having to find creative places to put them. 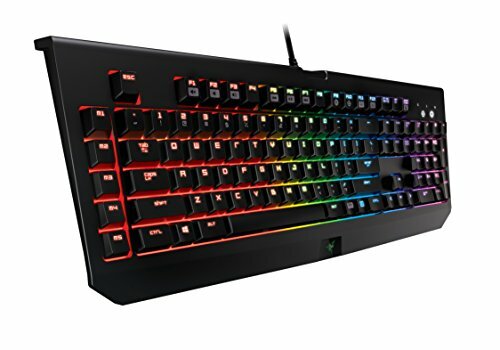 the K95 by corsair has 18, which is what I plan on getting next. Again if you don't use them, you aren't going to care. Overall I would recommend this keyboard if you don't mind the noise it makes. I would say to spend extra to get the aluminum Chroma X, however. 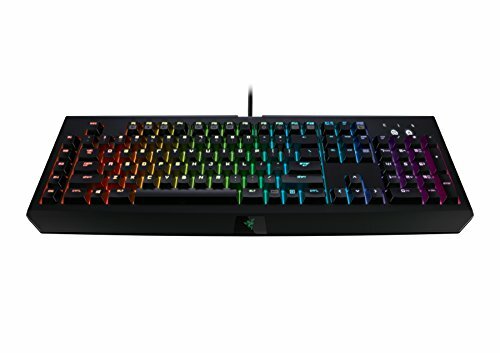 Razer software is really great in my opinion, however, I will be looking at a different brand for my next keyboard. 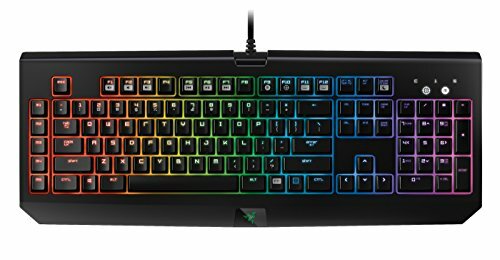 I’ve used Razer pretty much exclusively and never had a single issue with them. I like the aggressive noise that they make, and the feel of them. 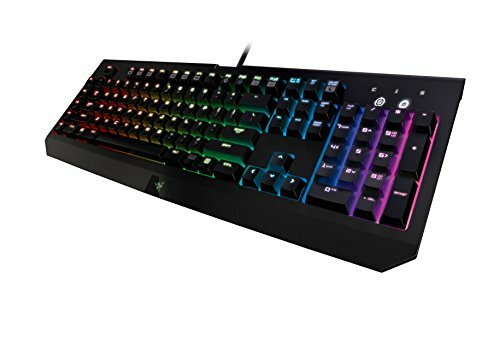 Coming from a Corsair K70 which is a solid keyboard within itself, I wasn't sure what the Razer would offer in terms of quality. I have to confess it did look a bit ostentatious and I have to say it's on a par with the Corsair in terms of build and looks. But more importantly it feels great. The finish is nice and there's no cheapness to the keyboard which I suppose you should expect at over £100. The colours cycle through gently and glow really nicely and subtly. A very stylish keyboard. Well engineered. Complemented with the Razer Mamba mouse, I highly rate this keyboard. Very easy to modify the settings, very heavy, I prefer the black widow stealth tournament edition, I just couldn't see the keys in the dark.